We are often reminded that we must give our dreams over to the LORD. ‘Keep your hands and your heart open to His will’, people tell us. And this is very true. But so often, that’s all we focus on. That we must give, give, give it all to Him. What about having your hands open to receive? Our daily cross is our daily life. We need to carry on, to follow Him, to deny our SELVES (our wants and pleasures) and follow Him for something far greater than what we can imagine. And this is where the receiving end comes in. When we hold our hands open to give to the LORD, we are expecting them to be filled in return. Not necessarily with what we want. But part of trusting Him, is having faith that He will give us what He so sovereignly desires to give us. Regardless of if we think it’s right for us or not. He knows the future. He knows us better than we know ourselves. He knows what we need, and what we don’t need. 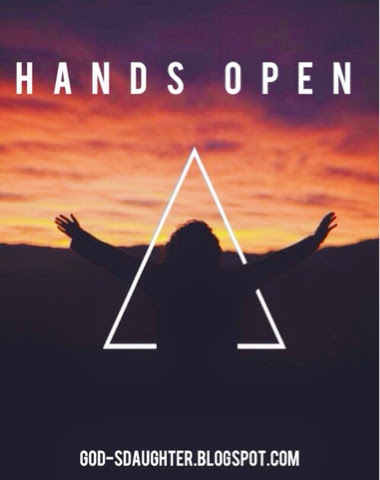 Keep your hands open - to give and to receive. And keep your eyes focused on Him, not on what you hold. Thank you :) this came at the perfect moment!